The long, free-flowing bed of hair that once blossomed from his scalp is no more, replaced by a low buzz cut any Lieutenant Colonel would salute. The untamed, haggard beard that carelessly hid his face has been shaved away to produce the facial hair of a responsible substitute teacher. I stared at the promo photo of JMSN, mentally contrasting the man before my eyes and the man who was onstage during the 2015 tour of his Blue Album―like watching a man go from white Jesus Christ to white Jesse Pinkman. Appearance speaks a silent poetry, a form of expression that can mean a great deal or very little. A style of hair can speak boisterous volumes or whisper gently; clothing can carry a loud baritone or an inaudible sotto voce; every item that dons the body is just an added brushstroke to the canvas. 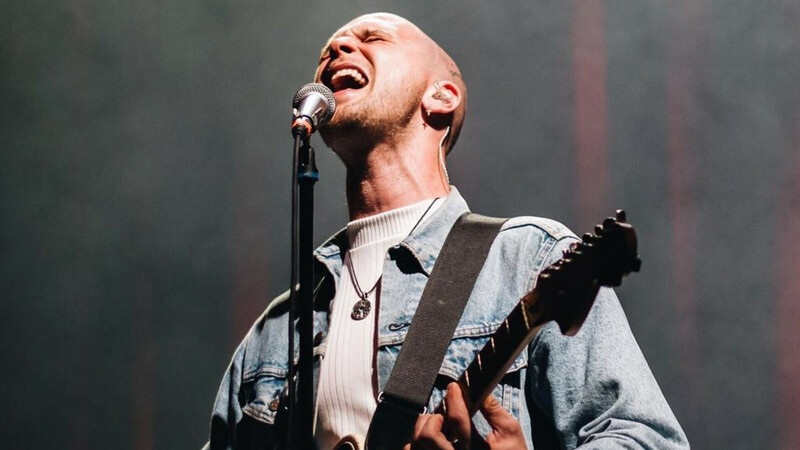 JMSN has lived in a cycle of change, evolution and reinvention since the days of Love Arcade―the 2006 alternative/power pop band that he spearheaded when still in his late teens. His music, much like his appearance, was innocent, the kind of purity expected from a young man who performed under the pseudonym Snowhite and would have white angel wings protruding from his back while onstage. Love Arcade disbanded three years after the release of their sole, self-titled debut album, an end that ushered in Christian TV, the next moniker and phase for the man born Christian Berishaj. Christian TV only released a single, free mixtape before the end of a label situation with Universal inspired another reset―another change in name, another change in style―and the birth of JMSN and White Room Records followed. Ominous, moody and melancholy is the best way to describe the early offerings that appeared on JMSN’s †Priscilla† album. The album is a step away from lighthearted electronic-pop and a deep immersion into the sullen alt-R&B existing in the same realm of swirling madness as early Weeknd. Change is most apparent in the nightmarish music videos from this era―the tones are bleak, light is nonexistent, and each one is stranger and more bizarre than the last. A boy band would be incapable of producing such visuals; if you found Tyler devouring a roach to be a rough watch you haven’t seen JMSN’s intimate handling of a squid in “Something.” Indie horror film meets avant-garde art student seemed to be where his vision was centered. Visually it matched the hues of his music but also felt as if too much value was put in the shocking nature of his settings. "You don&apos;t seem to care much about your personal aesthetic in a way that many musicians do. Are you against this at all?" As his art started to change from sorrowful to soulful, so did his appearance. As the videos become less abstract and conceptual, so came a carelessness about how he looked and fitting into the perceptions of how a singer should appear. He was an independent artist, no label could control his image, and so with each album he reinvented himself subtly―hair grew from boy band straight to Bohemian free, musically the sound was altered from gloomy R&B to a soulful blues, and even his cinematic videos took on a simplistic style reminiscent of the lo-fi camcorders from the VHS era. He&apos;s currently in a realm of high-quality visuals, and instead of the abstract complexities of his previous work, he&apos;s keeping it simple and fun. JMSN wasn’t married to a look nor stuck in a sound, he was always evolving, in a never-ending state of metamorphosis. There are stages of JMSN, like an evolution chart that allows you to trace each step by his physical and sonic revamping. Similarly, one could show someone a picture of Kanye, and depending on what he&apos;s wearing, they could understand the sound and style of his music. Kanye in a pink Polo is synonymous with soul samples and The College Dropout. Shutter shades are directly correlated with Graduation. 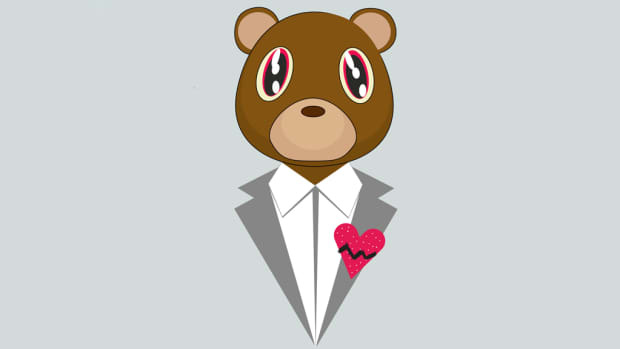 The fro-hawk and dapper grey suit is the look of 808s & Heartbreak. To see Kanye in his diamond-encrusted mask is to see Yeezus, and the post-apocalyptic clothing of YEEZY Season fashion shows will forever coexist with The Life of Pablo. 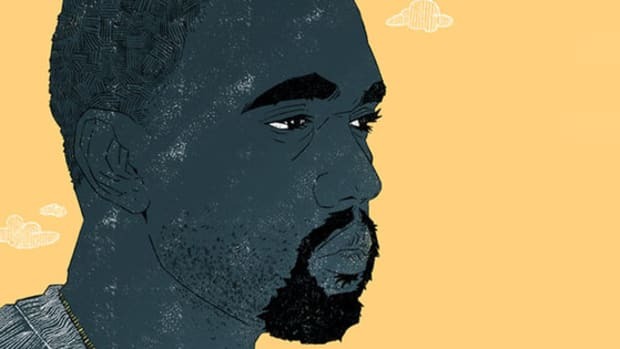 Kanye doesn’t just imagine an album in songs, he creates worlds that are built with sonics, fashion, and style. There’s a reason he changes artists for every album cover, enlists new video directors, and constantly surrounds himself with new environments―he doesn&apos;t live in a world of stagnant thinking, but one of constant forward motion. It’s funny that the world can wish for the old Kanye from a man who seems incapable of looking back. Always forward, always. 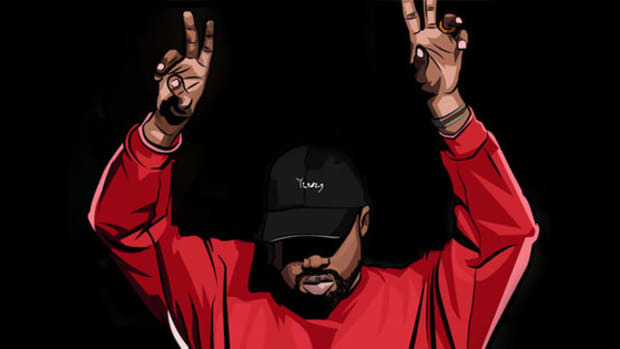 Not everyone is like Kanye and JMSN, some artists&apos; taste in style is centered in the present―aligning with trends or personal preferences, and not a representation of musical evolution. ScHoolboy Q removing his signature bucket hat and allowing the sun to touch his forehead doesn’t exactly symbolize that his next album will be more open. Losing the hat doesn&apos;t remove a barrier. On the flipside, Ludacris chopping off his signature braids to represent a more mature stage in his life and pairing it with the most mature album of his career, Release Therapy, was a moment of appearance signifying a change that was present in his art form. JAY-Z went from throwback jerseys to business suits, a style change he felt was more fitting of his age, maturity, and change in status. What I’ve always loved about Jay is that during the creation of an album, he’ll grow out his hair. Anytime Jay is photographed without a haircut, it&apos;s a bat signal that an album is in the making. Something as small as not getting a haircut signified a certain laser focus, a man so lost in his art that he could care less how he appeared to the world. Kendrick took on a similar ethos during the rollout of TPAB—every late night performance the Compton rapper looked as if Top Dawg had him recording in an actual dog house. It showed you he was living in the studio, lost in the process. Sometimes, the smallest changes tell you the most about a person. 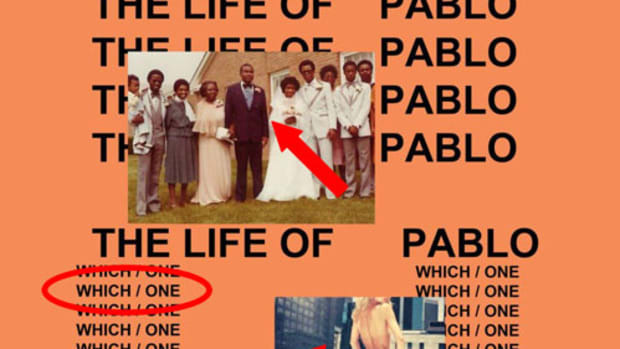 Yeezus was the only time Kanye took on a persona, hiding his face behind a mask to signify a character. 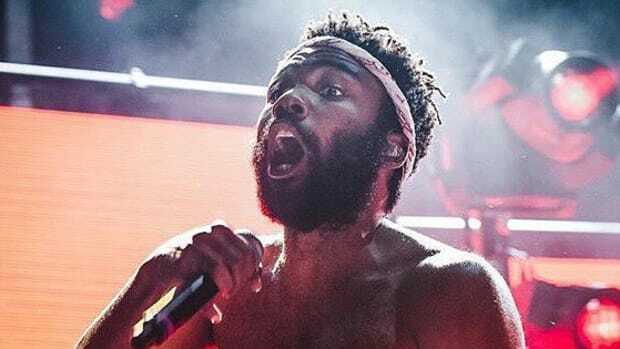 During the rollout for Because the Internet, Childish Gambino had a very specific look―the dingy white shirt, a simple brown coat, mustard yellow jeans, and the warm bomber hat that covered a wild mini-fro. The same look that can be found in the video for “3005” was worn to The Breakfast Club and XXL. Almost all his video interviews from 2013 have the same look. There’s a difference in his mannerisms and an odd look in his eyes as if he were portraying the boy from his album and not himself―a form of method acting that turned the world into his stage. 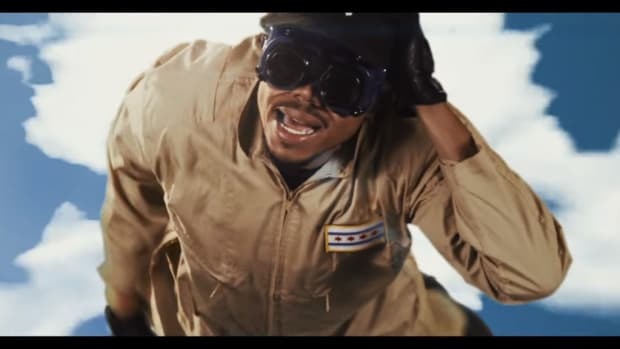 He wrote a screenplay and starred in a short film that both connected with the album, why not fully transform into the character? Mickey Factz did something similar after the release of his concept album Mickey MauSe. It became more than an album about a graffiti artist during the age of Warhol, but an identity adaptation to Mickey MauSe. Rob Markman spoke with Mickey in 2012 about his method rapping―he grew a beard, started painting, and went on a quest to become someone more than himself. Both Donald and Mickey succeeded in turning their fictional ideas into real people. When it comes to physical representation of artistic transformation and conceptual embodiment, look no further than the late, great David Bowie. This is a man who had a vision―he could express his style like no other, take on personas that you’ll remember for a lifetime, and somehow enter and leave the cocoon with every album. He didn’t stay Ziggy Stardust or commit to the Thin White Duke; he wasn’t imprisoned by glam rock or stuck making plastic soul. Bowie’s every action was an impulsive escape from being caged and a lifelong attack against boredom and complacency. Bowie’s vision of manifesting art through hair, through makeup, through clothing and through music detailed an imaginative way of presentation that saw no limitation in the physical―he created a universe of characters and persona who could touch, inspire and alter reality. I’m uncertain what JMSN’s new look personifies, but his new single "Drinkin&apos;" has been in constant rotation. It gives me this feeling of being in a blues bar―smoking a cigarette, sipping on Jameson, and only worried about the next pull and the next drink. I’m attracted to his forthcoming album being titled Do What Makes You Happy and the first single being a pseudo-blues R&B record about embracing alcoholism. For someone to sing, “I’m addicted to happiness,” and sound so sad is the kind of juxtaposition that makes you wonder about the artist&apos;s state of mind. With a new look and revamped sound, this is the next stage in his evolutionary chart. He is 10 years removed from the days of Arcade Love and he has yet to take a single step back. Let JMSN, Kanye, Bowie—all the artists who embody their evolution in the physical—be a reminder that we are art in the flesh. 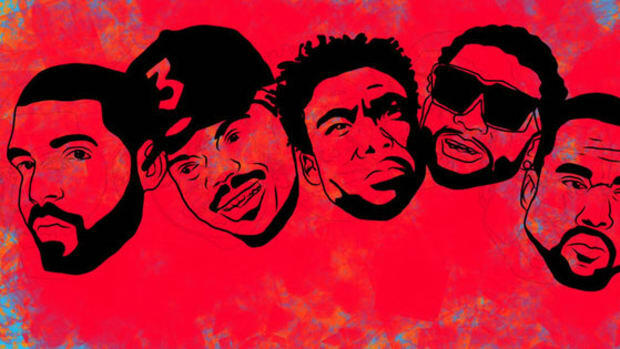 Hip-Hop is paying homage to other forms of art through music videos.